Hi, this is my first post here. I live in Italy and I am a photographer. I was born in 1977 and I grow up playing with C64, Amiga and PCs. One of the best memories I always keep, is the hours spent playing my point 'n click adventures. I still have some. Few months ago I played again a couple of adventures on my old Amiga but since my house is too small I cannot keep at home, so I brought it back in another place. So I decided to use ScummVM to play sometimes. I love to have my retail copies so I didn't want to store my best games on a HD or a simple CD.. here came the idea. 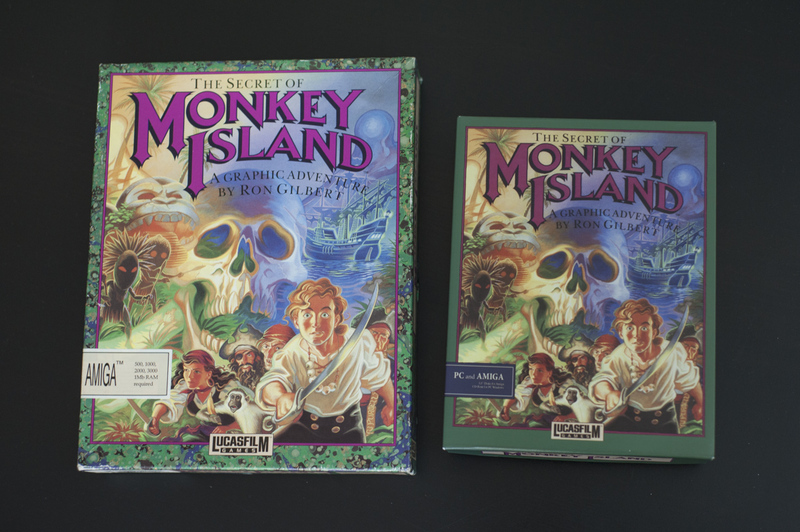 Make some custom boxes of those games, smaller but with all the feeling and content of the original Big-Boxes. I wanted to share with you my work. 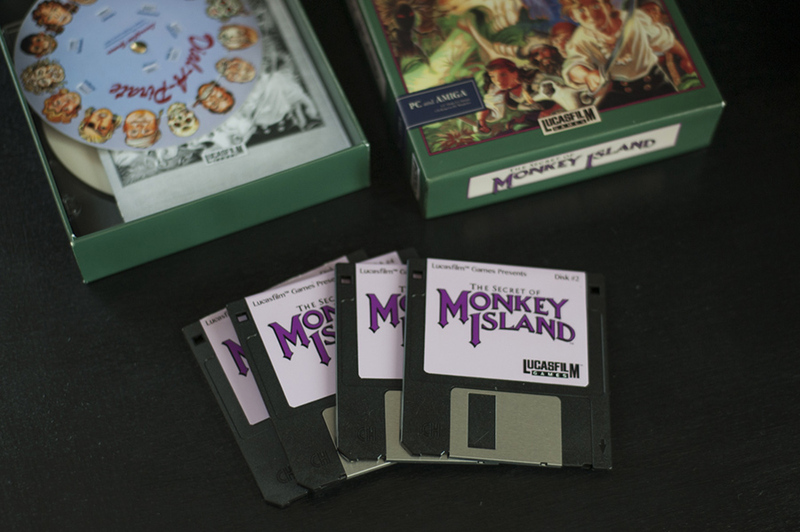 Here's the first one I made: Monkey Island. 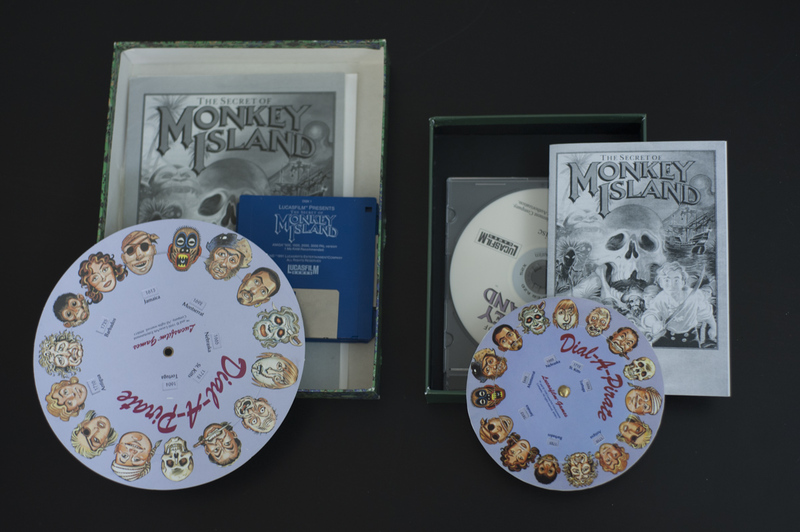 The box contains the manual, the Dial-a-pirate a CD with all versions of MonkeyIsland (scummvm, UAE), floppies (I left them below the cd, sorry ) and the Quickstart reference sheet. Cute idea...and they look very professional, like it. Raziel wrote: Cute idea...and they look very professional, like it. Well I can make it like original ones in size, but they will look "fake" compared to the original one. I decided to make small just to have some custom one. But I can consider the idea. I decided to have a plain color for the background of the box just to let know that it's not the original. 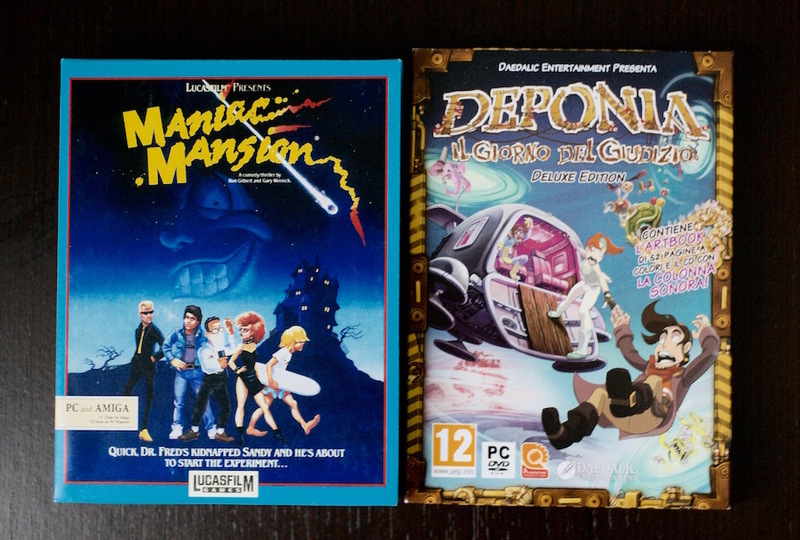 I've take a picture of my box and a dvd.jewel case (i've choose the do with Deponia to have a little idea of the size. It should not be a problem to make some centimeters bigger to fit the jewel case. will update this post in the next days with the other boxes. If someone is interested I can think to make few. You do realize you just gave me permission to spam you with a lot of games i want to see boxes for? Hi, here's another box: Zak McKracken. I've also decided to make a blog to keep track of my collection, so pictures are now hosted there instead of imgur. One of the things I enjoyed most was the remaking of all stuff: manuals, labels, protection codes and all extras included. I'm gonna add some cd label too. Will make a post on my blog with this. They were also roughly the same size. Thanks for pointing those spanish version. Do you have templates for these boxes so maybe those who want to could have a go at making one themselves? I think this is a very cool idea. I also have some old games without a gamebox. Either i dumped it or i bought it without the box. So i started recreating some boxes by myself. I did not find the best cardboard yet, so i only have a simple testbox. But i already layouted some games. I recreated most of the stuff seen on it, so i have every single object seperated. Here are two of them. I could add pictures of the build box, when i found a good cardboard. I almost finished "Full Throttle" and "Beneath a Steel sky". And I'm planning to do some more. But its hard to find clean source Material. I recreated some parts by myself. 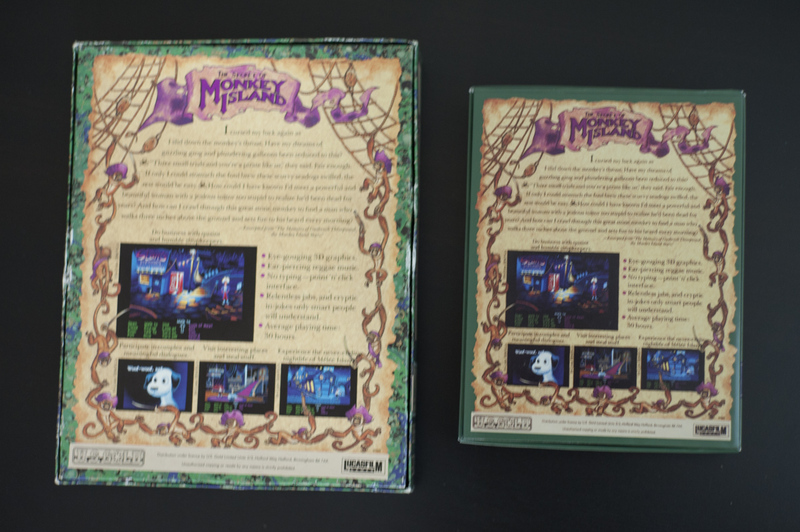 If some people are willing to help with some scans of original game boxes at high resolutions it could help. Maybe we could then release templates for everyone who likes to make some boxes by himself. OzzieMonkey wrote: Do you have templates for these boxes so maybe those who want to could have a go at making one themselves? Actually everything I have done came part from my original boxes, part from the web (where I had to work hard to fix). Since I'm planning to sell some to get some news games I'm not giving them, sorry.